Last weekend was one of those bigger than life moments for my family. My little sister, Tori, got engaged to her boyfriend, Jason! Jason just so happens to be one of David's closest friends... he grew up with David and I and we've known him forever. Even though Tori and Jason had met through us a few times (they were both in our wedding! ), things didn't get romantic until a mutual friend suggested they date. And the rest is history. These two goofy souls were made for each other! A long time ago, Tori had a dream that she went to the Braves baseball game. Typically, Turner Field will pass out a bobble head, foam tomahawk or something fun like that to all of the patrons as a game souvenir. In Tori's dream, the stadium was passing out yellow roses (her favorite flower) as the game souvenir. 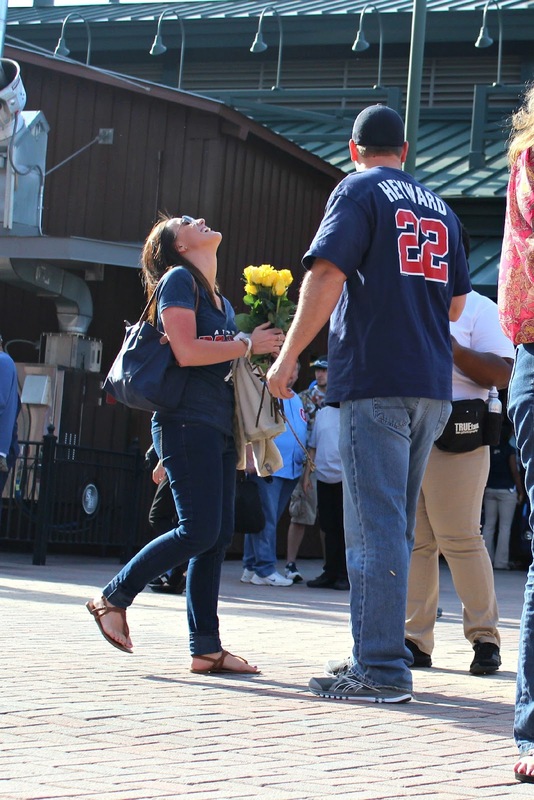 As she walked through the stadium and everyone in the crowd held yellow roses, she was proposed to. Great dream, right? Guess what? Jason made her dream come true. For realz. When they walked in the stadium together, the usher handed Tori a bouquet of yellow roses with a note tied around it that said "dreams do come true!" My other sister, Callie, and I were secretly hiding and capturing every moment on video and film. 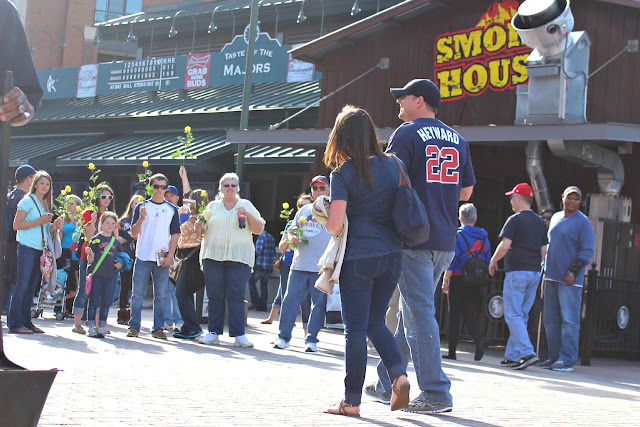 As Tori and Jason walked into the stadium, strangers held yellow roses. We had passed out about six dozen roses to strangers and asked that they just hold the roses as she walked by, but as soon as Tori walked in and they saw her with her bouquet of roses, the crowd each held up their yellow rose for her to see. I got chill bumps, y'all. It was amazing! 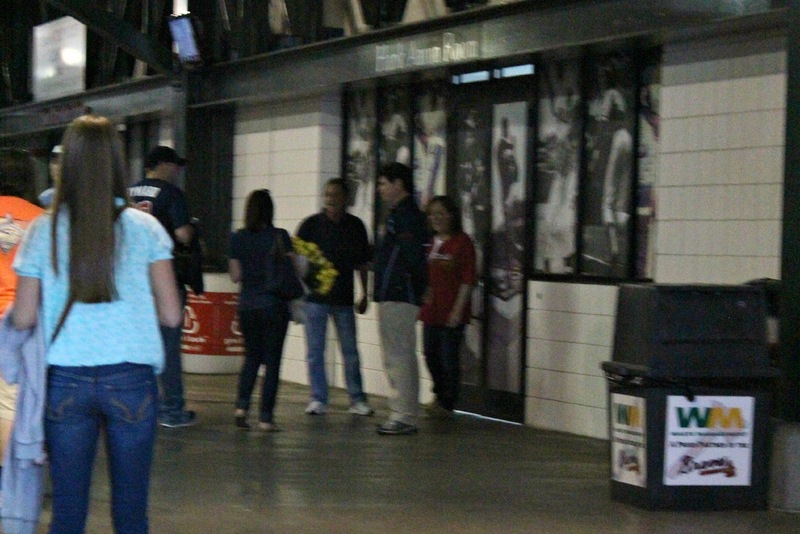 They also decided to pass her the roses as she walked by, which was so sweet. Then Tori (who still had no clue what was going on!) and Jason walked to a special room that he had reserved. My parents were standing in front of the room, waiting to give her a rose and a hug. Tori and Jason then went into the room, where he proposed to her. We had it all decorated with more yellow roses and pictures of them. It was beautiful! Both our family and Jason's family were all secretly at the game. As he proposed, we all sat outside the room and waited for her to come out. And prayed she said yes! Ha, only kidding. HDawg was so excited for his aunt Towwie, he fell asleep. Don't worry... she said yes! She was shocked, needless to say! It was so fun to celebrate with all of our family. Here I am with my parents and sisters. And here is the rest of the crew. I'm so excited these families are coming together! Jason graciously bought the whole group great tickets to the game. Which the Braves won, by the way. I'm telling you, it was an awesome night! You can expect to hear more about this wedding as we get to planning it. My sister has always wanted a fall wedding, so this shindig may be just around the corner! Congratulations, Tori and Jason! We love y'all! wow! i teared up reading that- so awesome! Body filled with goosebumps and eyes filled up with tears! So sweet and even better it was all captured by you! Ok seriously the sweetest story. Brought tears to my eyes! I love that he made her dream come true and I love that it was a baseball game proposal that wasn't a cheesy "eating a hotdog and caught on the big screen proposal". I can't wait to hear details of their wedding planning. If he was that creative with the proposal, I can't imagine the wedding! This is soo incredibly sweet! What a great guy. This story definitely had me tear up a bit - love it! Congrats to your sister, and to you and your family! Congrats to them! What a heartwarming story. And, yellow roses are my favorite too!! Congrats to your sister - that's an awesome engagement story! Congrats to your sister! I cried when I read this story. What an amazing story. I may or may not have gotten teary eyed. Congrats! WOW! So sweet - he definitely went above and beyond to make her dream come true! So cute! And Congratulations to your sister! What an awesome proposal! I got chill bumps too! That is wonderful! Holy cow! What an awesome proposal! He did so good. I have to admit--i am a little teary eyed right now. Ha. So sweet! Pretty amazing engagement story. I love it! OMG that is the sweetest thing I have heard in a long time...i am crying...i am at work and I am literally crying...plus that ring is gorgeous!!! Awww that is the best engagement story ever!!! Congratulations! What an awesome story! That is so great! What a guy! This is SOOO sweet Michelle!! I'm so happy for Tori!! GIve her a big hug for me and wish her the best!! Can't wait for wedding photos one of thee days!! Wow, what a sweet story with a lot of careful planning, sounds like a great guy :) My sister just got engaged too, must be in the air. Best story EVER!!! I have that knot thing in my throat now. So sweet. I'll e-mail you next week! Such a sweet story! Definitely one of the best proposals. Congrats to them! The best story!! Wow wow wow. So excited for Tori! She's going to make one beautiful bride! I still remember in SF when she had just gone on one date with Jason and she was telling me about him. Crazy! Omg that brought tears to my eyes! 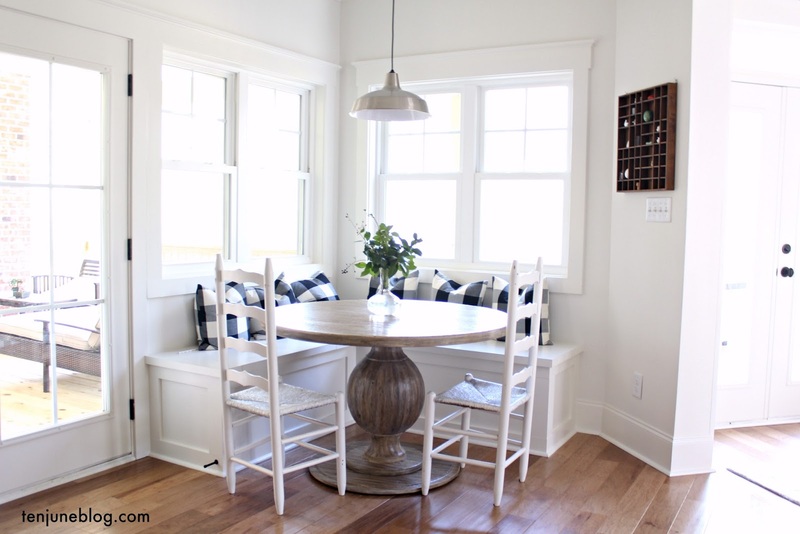 Such a sweet and thoughtful engagement! So so sweet! What a great story! This gave me goosebumps!! Aw what a cute couple & amazing family you have! That was such a sweet story!! He sounds like a great guy. Can't wait to hear more about the planning. What a great engagement story! Congratulations to the newly engaged couple and kudos to Jason for making your sister's dream come true! That is the sweetest engagement story ever!! Seriously - amazing! That is such a cute engagement story. Congratulations to your sister! awwww super sweet! congrats to your little sister! I've got chill bumps! This is an amazing engagement story!